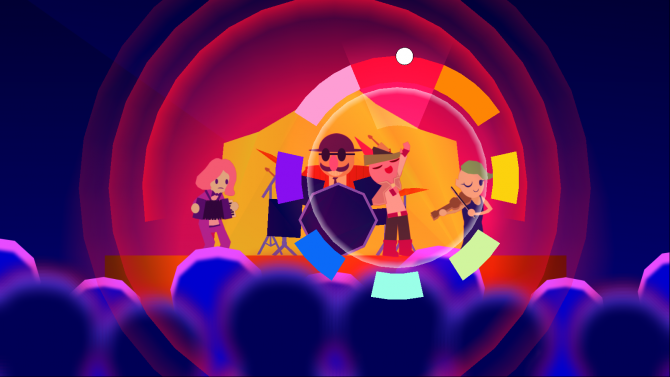 Mechanically simple, thematically deep, and emotionally powerful, musical adventure game Wandersong is a beautiful piece of art. 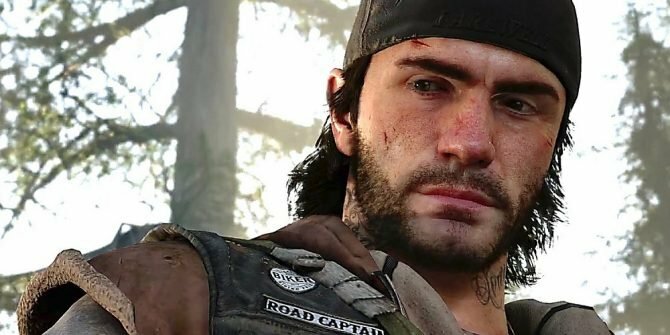 Emotion, expression, and feeling aren’t particularly the main points of focus when we talk about video games. 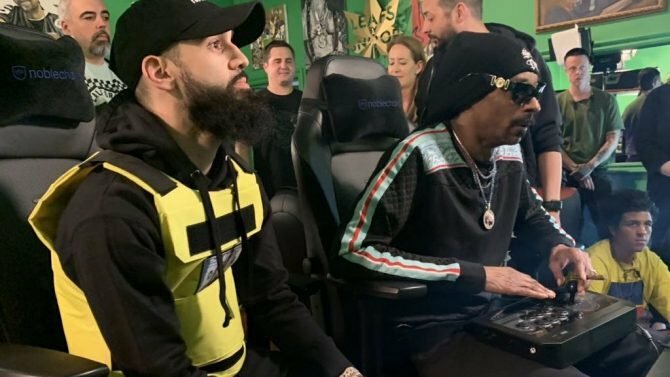 Maybe a well-produced and motion captured cutscene produced tears, a tense multiplayer round without respawning caused sweaty palms gripping the controller, or an NPC or announcer made a quip that earned a chuckle. When I played Wandersong, I consciously realized my own facial expression for the first time in a long time while playing a video game—a big ol’ smiling grin. The target audience of Wandersong may be more niche than I let it on to be, and I can imagine what certain aspects of the game will turn people off. There’s really only one major gameplay system, and the color palette of the game’s environments may drive certain folks away. Just allow me some time to explain why I came out of my long playthrough with heavy reverence, and why it’s worth at least a look at. The player takes control of a simple Bard, a no-name apparently of no importance at first. After a chance encounter with a rainbow girl, a messenger of the Goddess Eya, the Bard learns that the world is soon to end, becoming determined to stop impending doom by learning all pieces of the Earthsong from the Overseers. The Bard teams up with a reluctant witch named Miriam, who is tasked by her grandmother to join the Bard on this quest. Along the way, the Bard meets and befriends various colorful characters in different locales. The game’s story feels episodic in nature, literally divided into acts, with each act having the Bard and Miriam visiting a new location, meeting new people and finding a problem, then solving it and moving on—think Clint Eastwood’s The Man with No Name in the Dollars trilogy. Expect a significantly lower amount of grit here compared to Eastwood, obviously. The Bard’s main gameplay mechanic is the ability to sing. This is achieved by using the right stick on a controller, each direction being a different note and pitch, represented by a different color on a wheel surrounding the Bard. Despite the simplicity of the controls, this singing wheel has quite a lot of versatility. 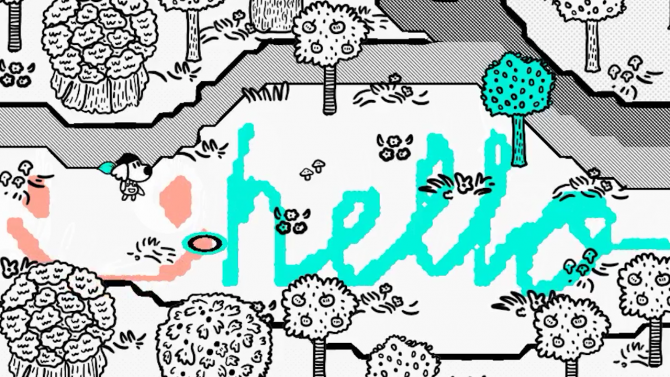 The player can do something as simple as choosing between dialogue options, but there are numerous context-sensitive utilizations for singing, depending on the environment. As the game progressed, it didn’t even come close to running out of uses for the wheel. Once you’re up and about as the Bard, you’ll notice that singing will make subtle changes to the environment, like changing the colors of flowers, as a basic example. Wandersong never explicitly instructs the player on how to use your song wheel, with the game depending on context clues in the game’s world to guide the player on how to move forward. The first of these is a singing bird, who chirps in a certain tune that is visualized—follow the bird’s tune with your own singing, and the bird will give you a lift for one jump. Grow vines to use as platforms, turn gears to open part of a map, light your way through a dark corridor, direct your mount to fly you across gaps, the list of uses goes on. It certainly helps that besides moving, jumping and dancing, the latter being an amusing but generally unhelpful feature, the color wheel is the only control method—if you find yourself in a new, unknown situation, waggling the right stick is an easy way to set your bearings and figure out how the game wants you to use the Bard’s singing this time around. With the act structure of the story, the motions of the game become familiar, almost predictable (emphasis on almost). After finishing whatever quest in whichever locale you pass by, locales including islands where pirates roam free, a small, humble town, and the border of two warring nations, you as the Bard will enter the Spirit World in what is basically a dungeon level. 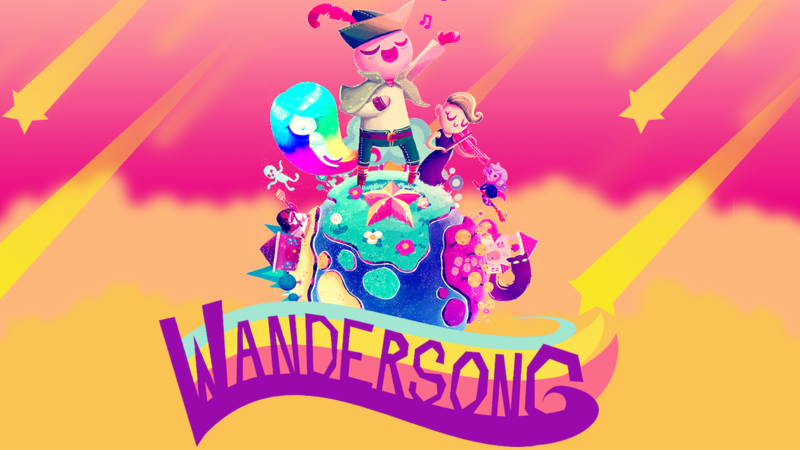 Each of these dungeon levels will introduce something new to do with the song wheel, and generally will involve platforming—Wandersong is a generally easy game, but each successive dungeon gets progressively harder, luckily. The Bard will have to do a different challenge for each part of the Earthsong, like jumping to a certain rhythm, playing a memory game on a giant keyboard, and so on. While this is nitpicky, some tasks have wonky controls—on a few occasions, prepare to mindlessly shake the right stick back and forth attempting to figure out what the game actually wants you to do. Wandersong is barely a punishing game—upon death from falling into a pit, the Bard will respawn quickly on a generous checkpoint. 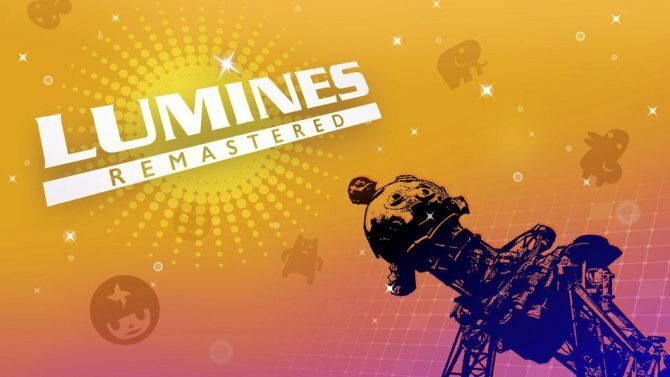 If there’s one major thing I had to fault the gameplay for, it’s that what seems to be the “rhythm game” portion of the game is perhaps too simplistic. Notes will move towards the circle for you to time your singing, and while there is feedback with some smiley faces, you don’t appear to faulted for missing notes or being off-rhythm. Disclaimer though, I didn’t experiment to see if there was indeed a fail state for those portions of the game, which usually come when the Bard learns or performs parts of the Earthsong. Going with that, if a song has lyrics, and keep in mind that there is no voice acting, you’ll be too fixated by the musical notes to notice whatever prose the writing had to offer. 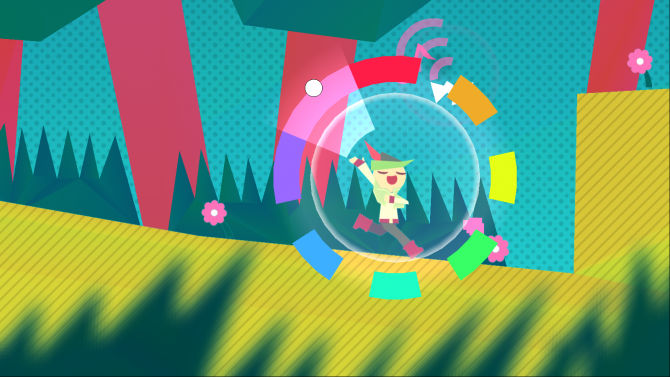 Where simplicity was a positive note to me was in the graphical design of Wandersong. It has a papercut look to it, not too dissimilar, but distinct enough, from the Paper Mario series. Even with just two dots for eyes and a mouth, the Bard is one of the more expressive protagonists I’ve seen in a video game, with their character design being aided by excellent sound design and fun writing. The same goes for Miriam, the no-nonsense witch who frequently goes on tirades and growls at you whenever she’s angry. Despite the game’s lack of full voice acting, personality and character truly shined just from art design, animations, and tiny bite-sized voice clips. And the different locations that the Bard and Miriam visit, some which I mentioned prior, are gorgeous, all with distinct color palettes and lighting. Unfortunately, some beautiful visual moments were hampered by jagged edges and some pixelation, which was more noticeable in the Nintendo Switch’s handheld mode. What pleasantly shocked and surprised me was how much Wandersong had to say about the Hero’s Journey, and what any consumer of media expects from a story made from that mold. The Bard from the very beginning of the story has an obsession to be The Hero (with a capital “H”), but as every other character points out, they simply do not have the defined traits that come with the title. The Bard can barely swing a sword, let alone even lift it. There is no prophecy that foretold this Bard, and traditionally, this character has no place in this tale. This is not only just reflected in the writing, but the barebones nature of the game’s systems. The Bard has no inventory, no items, and no currency, which they remind NPCs selling their wares throughout the story. Still, the unlikely pair of the Bard and Miriam troops on, and Wandersong makes the argument that you don’t necessarily have to be “The Hero” to be a hero. 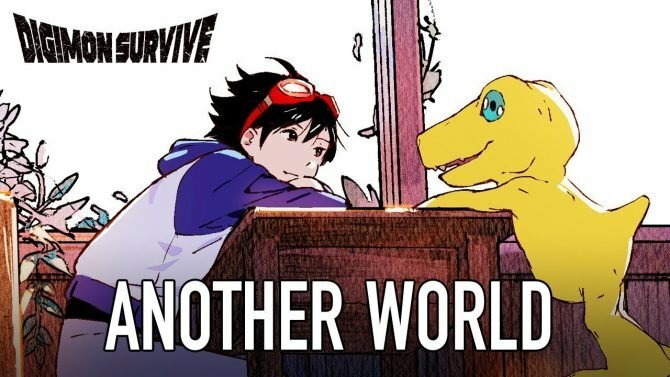 I discussed at the top of this review that this game made me smile, and as the story progressed, I realized that it was by design. It wasn’t just the music, character designs, graphics, etc. that made me smile—it was the fact that the Bard wanted everyone to smile. There are characters that the Bard encounters on their journey that have real, relatable issues—Ash, a depressed, shy, gender non-binary accordion player is mourning their mother, for example. Another character cries on a daily basis that they can’t get a dog to like them. 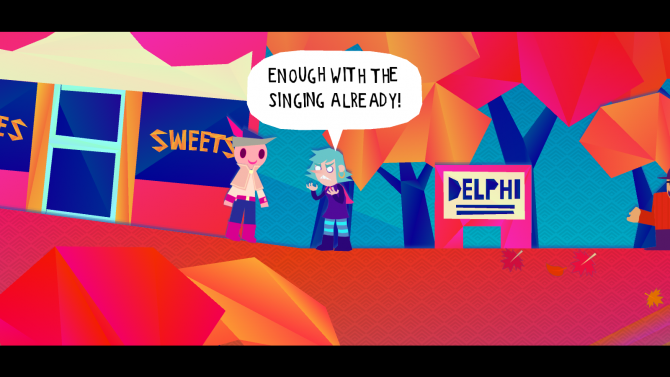 Just as the Bard wants everyone in the game’s world to be happy, Wandersong wants the player to be happy. As easy as I might make the game sound to be, I fall back on the cliché: it’s not the destination, but the journey. Wandersong’s narrative is almost an anti-adventure fantasy game, an anti-Zelda, an anti-Elder Scrolls in how it deconstructs the hero archetype. 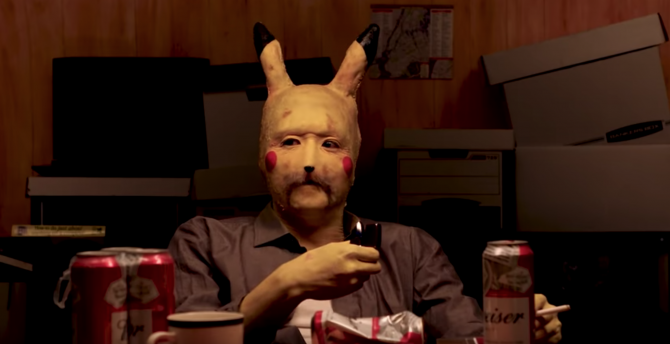 The people you pass by are not just static NPCs to give you sidequests, but realistic people to grow an emotional connection with. By the time the credits rolled, I felt that I too had gone through this same, profound emotional journey that the Bard experienced, and I can’t say that about most video games that I’ve played. 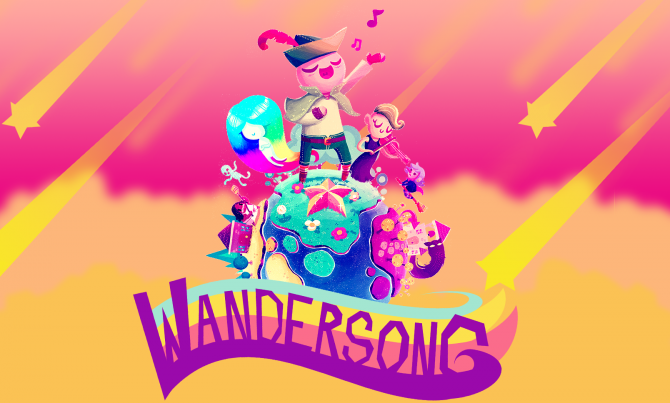 Wandersong encouraged me to let go of conventions from adventure games and experiment what I can do to the environment around me with the power of song. I think about the supposed difference between “sentiment” and “sentimentality” when comparing this game to other story-driven titles: sentiment produces real, personal, and genuine emotions, while sentimentality is often a cheap, telegraphed way to provoke reactions by spelling everything out, usually in a hamfisted and highly-charged way (*cough*David Cage*cough*). Wandersong, with all of its mysticism, with its charming simplicity in both graphics and gameplay, expresses real sentiment. I very nearly missed this game, and I certainly don’t want you to miss it.